Ready to scale your sales? Learning how to write a cold email will be critical for your success with cold email prospecting. Most people shy away from it, because they think it’s spam (it isn’t and here’s why). Some have tried and failed. Believe me, I did too when I first started out. In fact, I made almost every single mistake there is to make. When I first started in 2008 with my agency, I didn’t do a single one of these things I’m going to outline below. I gradually tweaked my approach until I figured out what works time and again. It helped me build my first company into a seven-figure marketing agency. I’ve since left my agency days behind me to launch LeadFuze, which does this exact thing (cold email software) for B2B. I thought I’d share some of the techniques that we apply to cold email outreach for our customers. Since then, LeadFuze has helped tons of sales reps, teams and small business owners find real leads and get them to respond via email outreach. You can always go here if you’re looking for a cold email template breakdown. If you’re wanting to learn how to write a cold email yourself, then you’ll want to understand the framework and reasoning behind successful cold emails. Imagine the emails your targeted customers receive. Picture them receiving an email from a competitor right before yours. How will you stand out? Try to read it out loud before you send it, just to see how it sounds. You might even want to act like you are face to face with them. If it sounds strange, make some tweaks. Don’t dedicate any of your message to introducing yourself or your company. They don’t know you and they don’t care. If they want to learn more, they’ll see your name and URL in your signature and they’ll look into it. Understand that many of the people you email will see their email on their phone or glance at their preview pane. If you start talking about yourself and who you’re with, you’re going to be easily ignored. Nowadays, most email tools (i.e. Gmail, Yahoo) allow their users to see the first several words of the email before they open — not just the subject line. They aren’t going to care yet about your features, integrations, etc. Don’t put your whole email into one paragraph. This isn’t a high school essay. Two sentences at most per paragraph. Keep it two to four sentences and 5 sentences at the MOST. Anything beyond 4 sentences and you’re going to start seeing your response rates decline. It’s great if you’re spending a lot of time researching specific contacts. You’ll need to do this for higher end sales and more enterprise level sales. Your time investment will be well worth it. However, if you want to do cold email outreach at scale, then this isn’t really an option. So you’ll have to make do with what you can. Referencing a company name is decent, but even just referencing their industry will typically be enough if you’re providing something of value. Note: If you are reaching out to fewer than a few hundred leads per week, it’s probably a good idea to do a bit more personalization in your outreach. Your email signature needs to include your business address. This is a non-negotiable. It can be a PO Box, but legally you need to include your business address. I’d recommend a phone number as well since that helps build trust and credibility with the person you’re emailing. Most images you want to avoid. Of course, you can experiment and test things (including images). But, as a typical rule, we like to keep images out and signatures short. Don’t use call to action buttons or any images at the top of your email. This just makes it obvious that the email is not personal. Which asks if you should speak to someone else. This also serves as a way to fulfill the opt-out responsibility in your email and still keeping it personal. A lot of people will read the P.S. before the read your closing question so it might be a good idea to try adding a P.P.S. with something else of value. Try using a call to action for a white paper. P.S. If you aren’t the right person to contact, let me know! Don’t want to receive any more emails? Let me know that, too! P.P.S. Here’s the link to [awesome resource], again. Would love to hear your feedback. I always recommend closing your cold email with a question, so they’ll respond and then from there it will start the dialogue. P.S. Idea #6 is my favorite, how about you? The question leads to a logical next step in the sales process. I’m also not asking them to commit anything. I see a lot of people recommend trying to ask for a 15-minute meeting. Don’t jump the gun. Ending with a question like the above will usually get them to respond with their targeted industry and a request for more information. Now you can get them on the phone. Just because they don’t respond, doesn’t mean you should move on. In fact, nearly 85% of the hot leads we generate come AFTER the initial email send. Create a series of follow-up messages that go out to people who don’t respond right away. Every 3 to 7 days you should send another. Sales Generated – This will typically be higher the higher your open rate and response rates are. However, that isn’t always the case. If you’ve tweaked the first two and seen increases there, but it isn’t moving the needle towards sales, then chances are your messaging isn’t really aligned with your sale. Attachment Engagement Rate: Tracking your email attachments will tell you if your attached collaterals are keeping the prospects engaged till the end or they drop out without going through them. Don’t test too early though. Looking at these numbers when you’ve only sent 50 to 100 emails won’t give you measurable data. Ideally, you’ll want to send at least 200 to 300 before you start making major adjustments. Bonus Resource: If you’re serious about testing, we’ve laid out over 50 email specific split tests, right here. Do some level of outreach every single day. This keeps your pipeline humming. Failing to do this will lead to a dried up pipeline. Even when you are slammed, you need to find the time to continue doing your outreach. We all know how to put together an email when our friends and colleagues from work are the intended recipient. But, how about emails addressed to complete strangers? Learning how to write a cold email can turn complete strangers into warm prospects. These emails should be composed in a way that captures the reader’s attention and steers their interest in the desired direction, be it cooperation, service or a product. If you’re unsure how to approach the issue, a few good cold emailing tips may be just what you need. You can increase your open rates by following some simple, yet essential principles. 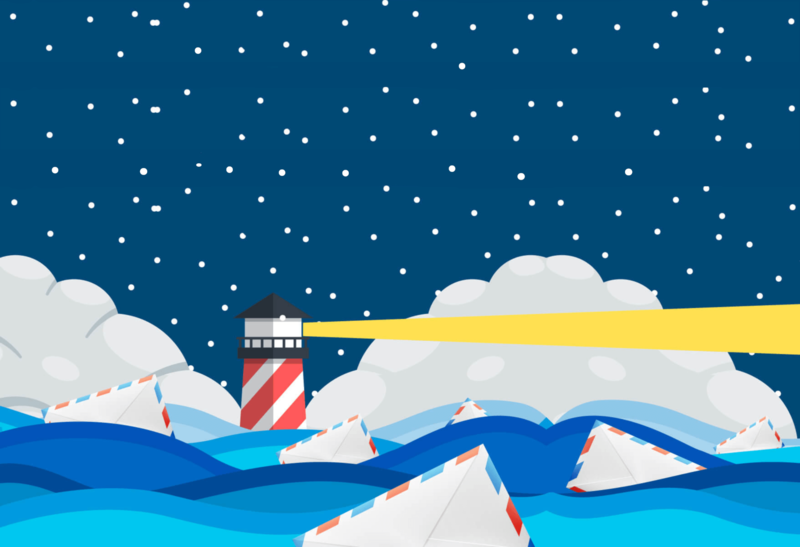 The following cold emailing tips are based on the best principles and practices related to crafting and sending cold emails. A subject line is the same as a text title. It has to be catchy and attractive or your email will end up in the trash. A concrete and concise subject line will single you out from the crowd and get you noticed. Make sure to keep the subject line under 50 characters. No need to tell the entire story there. You can even use a single word if possible, or three words at most. Steer clear of spammy subject lines like DISCOUNT! DON’T MISS THIS GREAT OFFER! They don’t resonate well with readers. You can also add a bit of personal touch by using the recipient’s first name in the subject line. According to experts, it’s a good way to increase open rates. Now that your message has been opened, do your best to ensure it’s fully read – from start to finish. This is where the first paragraph comes into play. It has to speak to the readers and capture their interest. Keep in mind that many email clients are set to preview a portion of the first paragraph of the message, so make the introductory part as attractive as possible for your target audience. Always state your reason for writing in a clear and direct way. Don’t embellish the text with unnecessary wording. You are writing a business proposition, not a novel. Also, avoid any information about yourself in the first paragraph. People need to know why you have sent them the mail, not your academic background, professional experience or your goals in life. Remember – even though your cold emails are addressed to business entities, they will be read by actual people whose assistance you need to secure. The tone of your email should reflect that. Always include the reason why you have chosen that particular person as a recipient and why you believe they are the right contact. It’s also a good thing to show familiarity with their business. It creates an impression that you’re thorough and serious about your work. When addressing the recipient – keep it casual. Modern styles of communication rarely include boring and strict forms of address and greeting, like Sir, Madam or Cordially. Use casual forms to give the email a more human, personal touch. Of course, you’ll need to tell the reader who you are, what your role in the company is and how you can help them. Make sure to include a few relevant details and links where your potential clients can read more if they want to. But, that’s about it. Don’t write at length about you, your job, aspirations and so on. State precisely what you need and what you expect the contacted person to do. Are you looking for a business partner or consultant? Are you selling a product? People shouldn’t have to guess what you need. If you’re offering a product or service, your mail should include a link to your corporate website for additional product details, benefits, advantages, etc. Don’t stuff the mail itself with too many product details. Risk is one of the inherent elements of business and hence one of the biggest obstacles to selling. You need to give your potential clients a sense of safety and a reason to respond. People are seldom willing to be the first client of a company with no track record or reputation. Include a few words about your successful cooperation with another client they are familiar with and the results you have achieved. This way, you will be perceived as less of a risk. People receive heaps of emails every day, so you have to make it easier for them to read your mail. Don’t dissipate the essence of your text into a sea of vague sentences without a specific point. Keep your message brief, clear and concise. The reader should be able to grasp the purpose of your communication attempt and your expectations without much effort. Your cold calling email should create an impression that you are the solution to the recipient’s problems. Briefly address the issue in question and suggest a solution. The point here is – make it easy for people to see the value in your offer. Making them realize that the email (and your future correspondence) can help them resolve an issue will increase the probability of getting a response. In a nutshell, try to keep your emails short, sweet and simple. Maintain focus on your potential clients, not yourself. Show them you know what they need and convince them that your offer is the perfect choice. When it comes to cold emails, it’s crucial to be certain that you are writing to the right person. It’s just as important as the quality of the email itself. You can’t rely on the assumption that the person who gets the email will forward it to the right person. Let’s say you need the person in charge of making advertising decisions. However you send the email to the person in charge of carpool maintenance. The latter might not even bother forwarding your email to the former. Try to send your emails to personal addresses, not generic ones such as sales@xycompany.com or info@xycompany.com. Look for the names of the people you want to contact. Check the website of your target recipient’s company. Check LinkedIn and other social networks. See if you can find the email address of another person who works at the same company. Then, try using the same format with the name of the person you are looking for. Perform thorough research about the recipient’s company and personal interests. It will help you craft an email which will grab their interest. If people perceive your cold email as generic, you’ll never get a response. Always mention something specific about the company or the recipient to show why you have chosen to contact that particular person. When trying to push an offer, people tend to write too much about themselves in their initial cold calling email. This is one of the most common mistakes that people make in crafting cold emailing templates. Focus on the “customer” instead of writing about yourself. Show intent to help solve the recipient’s problems and needs, not your own. Try to find shared interests with each one of the people that you plan on contacting. Add value to your email by mentioning said interests. Be confident that you have the answers to the recipient’s questions, but don’t try to oversell. You need to find a good balance to trigger people’s desire to respond to your cold calling email. You can go out there on the web and find a bunch of cold emailing tips and cold emailing templates, ones which have worked for other people. But, what you need to do is develop templates that will work for you and your business. Once you have a template, you should carefully customize it to make it sound personal each time you email someone new. The more you personalize your emails, the greater the odds that you’ll get a positive response. The first impression people get about your cold calling email comes from the subject line. Never write long or misleading subject lines. Announce what people can expect after they open your email. Nobody likes to read long and boring email messages, especially when they come from a person they have never met before. Keep your emails short. Try to say everything you have to say in 4 to 5 sentences, max. Be specific. Include a clear call to action. Let people know exactly what you expect from them. You can’t say everything you want in one email, so don’t try to do this. Carefully select the information you consider relevant to share in your cold email. Do not attach any documents. Briefly present your offer, tackling the main interest of the recipient, and ask for a response. Credibility is one of the key factors that have influence on the recipient’s decision to respond to your cold email. You can’t expect people to be willing to do business with you if you do not first demonstrate credibility. Start by ensuring you only send emails from an address based with your business domain. Never send a cold calling email from Yahoo, Gmail or other generic email services. Include your full name in your email address. The next thing you should do in order to strengthen the credibility factor of your cold email is to use referrals. It’s easier for people to accept things which are referred by close friends, colleagues or even mere acquaintances. So, use referrals every time you have the chance. Social proof is another useful tool for demonstrating credibility in cold emails. Remember to share your contact details and add a photo of yourself in the email signature. Make it easier for people to trust you. Let them know they are about to do business with a real person that has real solutions for them. Another important aspect that you need to pay attention to is the language. Write conversational emails. Show that you’re confident, but don’t be arrogant. Also, remember to double-check the grammar, spelling, and punctuation. The smallest of errors can cause a lot of damage to the credibility of your cold calling email. Referrals can be one of the most efficient ways to gain new clients. By asking your current clients to recommend others that might be interested, you can remove one of the biggest barriers to getting prospects to convert: trust. People inherently trust their friends more than random strangers, so adding a shared connection to your prospecting emails can bring weight and authority to your offer. Like anything in life, there are better and worse times to ask for referrals. Obviously, you don’t want to ask for a referral before your client has had a chance to experience your work. You probably also don’t want to ask them if they terminate their contract because they are unhappy with it. The ideal time to ask for a referral is within the first 30 days of your relationship with the client. This gives them enough time to experience their “joy moment” with your service but not enough time for your service to become routine. Ask for a referral at a time that they are most happy with your service, which is generally right after the initial delivery. For productized services, SaaS, or other recurring revenue businesses, ask for the referral when you know that the client has had a chance to benefit from the software or service. Companies in this realm tend to ask for recommendation too early, so give your client some time to use it, but try to stay within the 30-day rule. Regardless of when you chose to ask for referrals, aim to make it simple for your clients to provide them. Generally, you shouldn’t ask your client to send an introduction email to people they are referring. Your clients are understandably very busy and asking them to send such an email is a quick way to ensure that it never gets done. Not because they don’t like you, but because you have added another thing to their to-do list, and in most cases, getting you more customers is not very high on that list. Instead, simply ask for a name and email. Tell your client that you would be happy to reach out yourself, and make sure that they don’t mind if you mention their name when contacting the new prospect. The exception to asking for an introduction is if you happen to know exactly who you’d like to work with, and your current client is connected to your ideal prospect in some way. If you ask them to make an introduction, make it as easy as possible for your client. Email your client in such a way that your message could simply be forwarded to the relevant party without being changed. Reach out to any referrals as quickly as you can. You want the referral to be fresh in your client’s mind, in case the prospect asks them about it. Contacting the referrals will be slightly different from sending other cold emails, but many of the best practices are the same. Be sure to mention your client’s name in your first email to the prospect. This has the effect of immediately breaking the ice and gives the prospect a reason to trust you. Give a brief description of the work you are doing for the client that referred the prospect, if you can do so without disclosing any private or proprietary information. Follow this up with a short overview of all the services you offer, and mention that your client thought your work might be beneficial to the prospect’s business. As mentioned in previous posts, close with an open-ended question that will help you determine the prospect’s needs. Overall, you should aim to be sincere and personable. Your tone and message may get back to your original client, so they should be in line with the conversations that you have already had with your client. Referrals are awesome when you can get them. They help to warm up prospects by breaking the ice and establishing trust and authority. When you make it easy for your current clients to refer others, you also make it easy to grow and scale your own business. Split testing is an important part of cold emailing, but it can be difficult to come up with different things to test to keep your response rate climbing. That’s why I’ve put together this list of 16 things to try in your next batch of cold emails. We’ve discussed the importance of your subject line before. Unfortunately, there is no sure-fire subject that gets guaranteed opens. Instead, test out a variety of subject lines to see what your audience responds to. Your company vs their company – Try subject lines that only consist of the name of your company or the name of their company. Super simple, both of these subject lines should see good open rates, though your response rate may be low, since there is no indication of what the email contains. Questions – Ask a question in your subject line, such as, “Do you need SEO?” With this variation, your open rates may drop, but the proportion that responds should go up, since people who opened the email will have already answered your question in the affirmative. Percentages – Similar to using numbers, using irregular characters in your subject line can help your email stand out in your prospect’s inbox. Getting your emails opened is only half the battle. Your content needs to provide a compelling reason for your prospect to respond. Humorous vs straight-laced – Injecting a quick joke or unexpected one-liner can help brighten up dull emails. Don’t go overboard, but maybe try using a meme or pop culture reference in your next batch. Short vs long – It’s been pretty well documented that short emails get higher CTRs, but is there such a thing as too short? Test out variations from 1-2 sentences to 4-5 short paragraphs to find your ideal length. Text-based vs images – Send out versions of your cold emails that are completely text based as well as some that use 1 or 2 well-placed, content-specific images. Link placement – If your cold email contains links, test out these links in the beginning, middle, end, or a combination of locations. Sending your emails out at the wrong time can doom them to the Trash pile. Time of day – Use a tool like Boomerang to test out different times of day to send your emails. Day of the week – Depending on your target market, your cold email might be better received on weekends or weekdays. Boomerang can also help you test this. Most people will not convert off of the first cold email. Develop a system of follow-ups that helps nurture your prospects as they move through your sales funnel. Number – How many times will you follow-up with your prospects? Test this metric to find the optimal number before a prospect either converts or unsubscribes. Frequency – Space out your follow-ups at different intervals to find the best converting sequence. Style – Depending on your prospects’ reaction to your first email, you can place them into 1 of 3 follow-up styles, and tailor your follow-up emails for each specific group. Those who did not open the email – Try the same content with a different subject line. Those who opened your email, but didn’t click – Try putting a time constraint on your offer. Cold email prospecting and outreach is a great method for generating leads. I built a seven-figure marketing agency using this approach, and now I’m doing it with LeadFuze. Hopefully, this post has helped you learn how to write a cold email. What cold email strategies are you using? Leave your thoughts in the comments below! I’ve manually done cold email and you’re absolutely right. Keep the email brief. If its not personal then it looks like you’ve sent the same email to everyone. And follow ups by phone or email will increase the number of leads. When it comes to the follow up, what points do you usually include in the 2nd or 3rd email? In the follow-ups I’ll usually try to highlight another benefit that didn’t get included in the first email. I have done some cold mailing and I love it! Which programs do you use? I currently use MaxProg. Good article; my only quibble is the 4 sentence rule, but I can see the logic. Hi Eric – it can be tough trying to summarize things into 3 to 4 sentences, but it’s critical if you want to keep them engaged. As noted, put yourself in the receivers shoes, not only should your message be a game changing idea, but it needs to be short. I frequently receive cold emails, and if the text body is long, I am out. I agree Joel. Thanks for commenting! Hey Justin, what’s your recommendation on when someone responds to your first email but just says something like “I’m not interested, take me off your list” hahah or “we are not interested, we have this covered”. I’m not one to give up on trying to get them on the phone to learn more but do you have any recommendations? Honestly Greg – it’s a numbers game. I wouldn’t waste my time there. Sure, MAYBE down the line they convert. More than likely though you’ll just end up spinning your wheels. There’s easier money to be made. If you do any sort of cold email outreach at scale, you just don’t have time to try and convert every single prospect anyway. Hey Justin – curious, for a SaaS thing that’s on the line in terms of cost. vs. acquisition, what are your thoughts on including a CT for a free trial vs. inviting a response / call request? Thanks Joe – what I would probably recommend (based on the little info I know about your business at this point) is keep the email conversational and then use the follow-up to direct to a free trial. This way you can get direct responses which will help your engagement rates and it still keeps it in email format (no need for live demo, sales call, etc). Got it, that helps – thank you! Great article. Love the follow-up approach, and especially the notion of don’t analyse until you have a nice bit of data. Most people get stressed from data that isn’t really representative. I have a notion though, I’ve always included the description for myself or the business. Think this provides a bit of authority on the benefits you highlight with the offer. They can research you and your firm, yes, but this gives them an idea of where to fit you in their mind. Short and to the point though, just to provide a bit of insight, not your life story. Hi Justin, Thanks for sharing this information. I like that you included creating emails personal. Hi, Justin. Thanks for sharing! Your cold emailing tips totally make sense. Conducting cold email outreach can be a powerful tool, but only if it’s done with great attention to detail. Like the concept of a whitepaper in the P.P.S. Got any examples of this Justin? This can be done effectively in a number of ways, but I’d try to bring it back to them. Something like, “Since you’re in the XYZ industry, thought you’d enjoy this deep dive into what others like you are doing.” Something to that effect can pique curiosity. Versus “Go here for our whitepaper”. Absolutely agree that a cold outreach email should always be about the person you’re emailing. If you begin to ramble on about you and your company – you’ll lose their interest. Tailor each email based on the target audience you’re emailing; sales, marketing and c-levels all have different perspectives on the same tactic or strategy. Here at Clickback, our cold email campaigns are tailored to the audience we’re sending too and the content reflects the pain points they most likely have as a sales manager/marketing manager/c-level exec. Doing this personalizes the message and allows your potential prospect to visualize how your solution/product fits into their daily routine. This was a great help for me, especially the part about ending and signature. Anyway, another big help for me in starting with cold mailing was coldmail.ai, if you want to check how good (or bad 🙂 ) is your initial cold mail, these guys do good job there. Thanks, Alex! Great tip, too. I have closed 6 figures in client retainers with cold email outreach. I did a test yesterday and sent out 40 emails and got 11 booked appointments. Let me know if any of you are interested in having an lead generating outreach campaign for your business. This is great stuff Justin. I am sharing this with everyone at my agency so they can learn a couple new tricks when cold emailing! Thanks! Awesome Roland – glad it helped. Good luck with your cold emailing efforts! I think this article is great. These cold emails are a start of future business relationship. We have seen the most success with having something personal like you mentioned. We go to their blog or look at their portfolio and compliment on their work. This goes a long way. The prospect knows this is a cold email but you set yourself apart when you invested the time to find out more about this person. Finally, the email signature is where the magic happens. You would be surprised on how many people actually click on the email signature compared to links in the body. Links in the body, people feel like they are being sold. Nobody likes that. I feel that your users would find this beneficial. Thanks for this great article! Interesting point, Brian. Have any data on the links in signature? Would love to see it! Sounds good. Feel free to email it to me josh@leadfuze.co. Awesome tips shared Justin, It really connects with the actual problems we are facing while reaching out to influencers or customers. Very well explained Justin.I had few questions in mind before reading this article & I have got answer of most of those.I am going to use all these tips for my upcoming email campaign. I could not find anything that indicated you are legally required to include your address in your email signature. Can you site your source?